Carol Beatrice Nelson was born October 7, 1945, in the Town of Union Eau Claire, WI to Beatrice and George Wendt. She passed away suddenly and unexpectedly at her homestead in the Town of Union Wednesday, March 20, 2019, she was 73 years young. Carol B. and Gary G. Nelson were married for 31 years, after their divorce they remained friends and enjoyed attending family functions together. 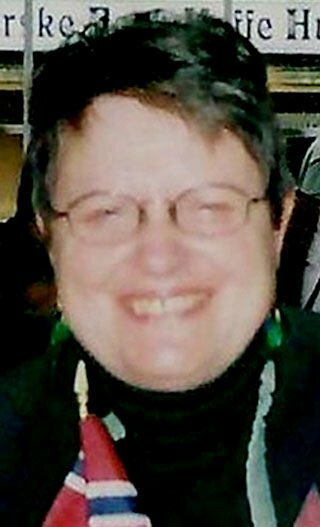 Carol was a member of Christ Church Cathedral Episcopal Church, Eau Claire, and made sure to establish a concrete belief and respect of church to her family. She was proud to have started 4 generations now who attend this church. Awaiting her in Heaven are many Angels including her parents, as well as her two brothers, Danny Wendt and Vernon Arneson; sister-in-law, Bernice Arneson, and step-mother, Josephine Wendt was there to greet. Also, special best friend, Sharon Stokes, and many aunts, uncles and close family members too. Grandchildren, Felisha F. Stewart (Matt Frei), Caylee B. (Justin Borgwardt), Jenna J. Stewart (Brandon Garrett), Mariah L. Frandsen, Haydn, Kinley and Iler Paulson, Great grandchildren, Beau, Capryce and Caleah Borgwardt. Also, Elly Stewart, Julenna and Brooke Garrett, Giavanna Frei. New great-grandson Braxtin Dean Garrett to join our family April,1,2019. Carol leaves behind so many cherished friendships and a very special community, “Grace Adult Services,” of Altoona. She arose early with happiness with everyday awaiting a new adventure for her and another tale to tell. We are celebrating “Carol’s Life” as she had wanted with a beautiful celebration dinner to be held at Christ Church Cathedral, 510 S. Farwell St. Eau Claire, WI, where she celebrated and participated in many life memorable events throughout all of her years. Father Michael Greene will be officiating the funeral to be held at 2:30 p.m. on April 13, 2019. Open House visiting and dinner buffet is from 3–6 p.m. upstairs in the “Great Hall.” Elevator service is available.